I was late-night cruising Etsy one night and came across a new shop of a woman named Alison Addicks, who was offering custom handwoven wraps for sale. I emailed her immediately and put down a deposit the next morning. I found a sunset photo that looked very similar to the colours of a Newfoundland flag, and decided to use this as my inspiration for colour. I was offered a couple of choices, and picked a colour grad with five colours, navy, yellow, white, light blue and a deep orange-red. Alison was great with communication and told me my slot date was in February, which was about a month away at that point. She sent me a wound sample card in the mail to show me what the colours I had chose looked like IRL and suggested that I choose a navy blue weft to make the colours pop more, which I agreed to. I chose a length of 4.5m, which is approximately my base size. Once she began working on my wrap, she kept me up to date the whole time and sent beautiful photos of the wrap on the loom to keep me excited while I waited. She wove the wrap quickly, and also created a sister piece without the navy blue edges, which another mama later had turned into a ring sling. I received this wrap quickly once ready, and was so pleased at how soft the material was when it arrived. She had a simple tag middle marker, and the wrap was ready to wear right away. It was thicker in hand than most of what I had tried up to this point, but I had no issues wrapping with it right away. 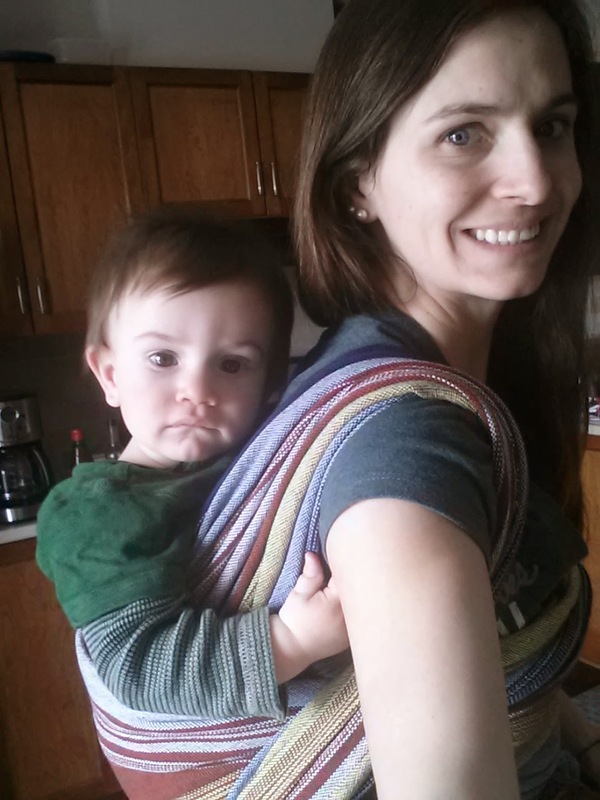 It is an incredibly supportive wrap, a bit thicker in hand than UppyMamas I have tried, and a little bit less stretch than them also. I had it made 30 inches wide for my large guys, and it does not disappoint. I comfortably carried my 3.5 year old in our snowsuits in a ruck tt for 20 minutes this winter. This is my only truly permastash wrap at this time. Alison's weaving is wonderful, the selvedges are lovely, and I had a wonderful experience working with her on this. I love the tiny pinstripe detail she made between the grad colours. Everything about this wrap is my jam. Cons: Difficult to find - Alison is no longer in the business of creating baby wraps, so the second-hand market is the only place you will find these beauties. Recommendation: I have seen some of these going for around $350 on the swaps lately, which is near retail. This is a wrap that lives up to the hype, and if you see one - snap it up!